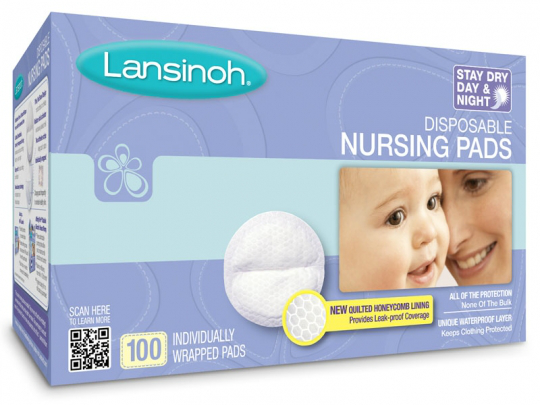 As a nursing mom nursing pads are a must for most mommas! I know moms who can go without pads, and or bras and just free willy nilly feed their baby! HA!!! I wish I could. If you are a mom like me with machines for boobies then these guys are your BEST FRIEND!!! Cons: The ONLY things that I can find wrong with these pads is that the wrappers attract static and stick to everything. I find them all over stuck to things when I thought it made it to the trash! I have been breastfeeding for the better part of two years with having two babies under two. Lansinoh pads always come out above the rest! I have tried others and they just don’t cut it! You can get them for as low as $4.93 for a smaller box and the larger boxes generally are around $7.99. They are actually cheaper than even the store brands in most cases! So, WIN for your budget! Great buy and a must add to any baby registry! Awww, I’m sorry you had a bad experience. I always thought they were softer than other ones I had tried. This might sound silly, but did you have them turned the right way? Haha, I did 😦 Yeah, they were definitely much better than the medela ones. It was just so uncomfortable whenever I would move and they would rub against the pad. I wish I could use washable ones! It would definitely help with the budget every week. I leak through them and it’s just a waste.